Witney Carnival, organised by local charities to raise funds for good causes, took place this weekend. Our Witney team took part with staff members Lisa and Gail braving the elements and driving our brightly coloured car in the parade. They also handed out balloons to local children in the pouring rain. 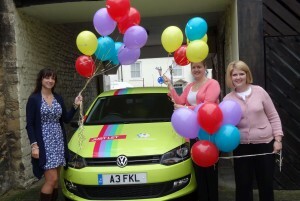 The car really caught the locals’ attention, lets face it, you can’t miss it! 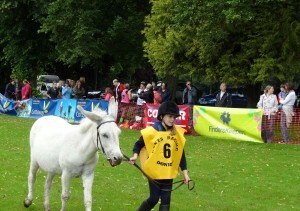 Finders Keepers also sponsored one of the Donkey Derby races. One donkey refused to take part, and who can blame him in that weather, but a good time was had by all and the crowds still came despite the downpour. Witney locals are made of stern stuff! We are already looking forward to next year’s carnival and will keep our fingers crossed for better weather. Click here if you want to start letting your property in Witney, or just want advice about a potential investment.